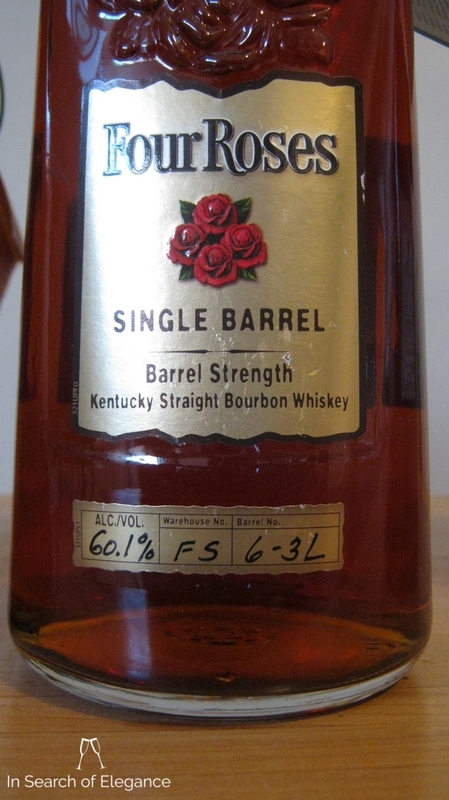 Another unbelievable single barrel from Four Roses, straight from the barrel...The barrel was hand selected by Liquor Barn. Very oaky. Lots of corn, grain, pineapple, charry. Some spice comes in too. Dried pineapple, dried fruits, caramel. The palate is dry, driven by dry oak and nutmeg. It is gorgeous, in fact, on the palate. At CS, it has a really nice effect – a very nice bourbon. The finish is nice – creamy, dry and full of brown cardamom and oak. Overall, oaky, big, integrated, with a blistering finish that keeps on delivering...awesome.